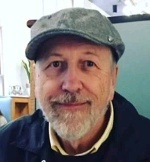 Posted on November 22, 2018 by Robert Tuomi wrote in community. It has 0 Comment. Suddenly pandemonium fills the ballroom of Windsor’s Moose Lodge 1499 on Tecumseh Road West. Without warning, during Sunday’s Toys 4 Tots fundraiser, famous Disney characters Mickey Mouse and his pal Goofy appear. Intriguingly the pair caused more commotion than the arrival of Mr. Claus himself. But it is not only the children, it is almost all of the adults who excitedly welcomed them. With wide smiles, they lined up on the left, the right and centre to take selfies with the two distinguished American celebrities. 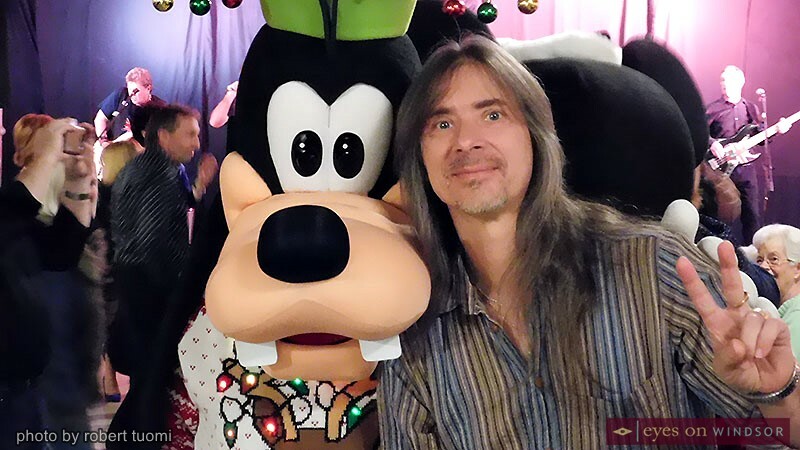 Michael Pindus of the Smokin’ Purple Monkey Gang Band with Goofy during the annual Toys 4 Tots fundraiser held at Moose Lodge 1499 on Nov. 18, 2018. Photo by Robert Tuomi / Eyes On Windsor. 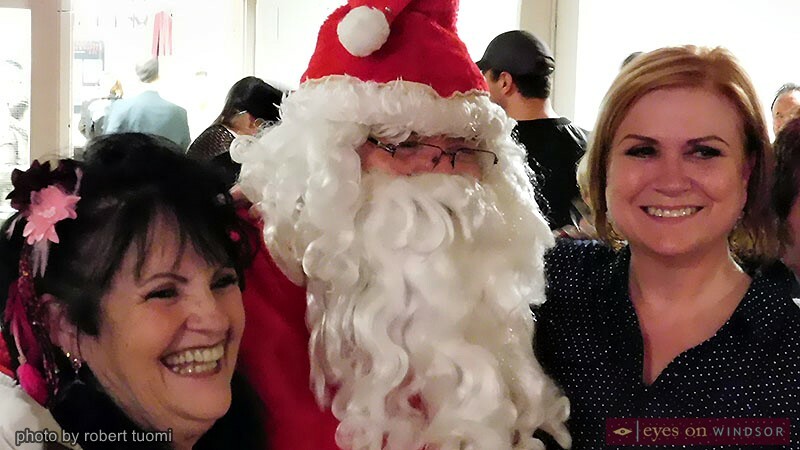 Guests during the annual Toys 4 Tots fundraiser enjoyed taking photos with Santa Claus at Windsor Moose Lodge 1499 on Nov. 18, 2018. Photo by Robert Tuomi / Eyes On Windsor. Event coordinator Amy Renaud was also smiling. Halfway through catering to some 400 guests for supper, it was clear the money raised would be a latter day record. This is good. More kids in need will be gifted with a present this year. As the night progressed donations, a 50-50 draw and a prize draw were pushing the total closer to $5,000 dollars. Moose Lodge 1499 member Jackie Oke selling 50-50 draw raffle tickets during the annual Toys 4 Tots fundraiser on Nov. 18, 2018. Photo by Robert Tuomi / Eyes On Windsor. 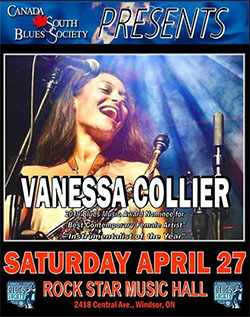 Six local bands – The Doo Wop Heartbreakers, The Van Lares, The 519 Band, British Beat 66, The Smokin’ Purple Monkey Gang & The Mixx – took to the stage in one hour sets. 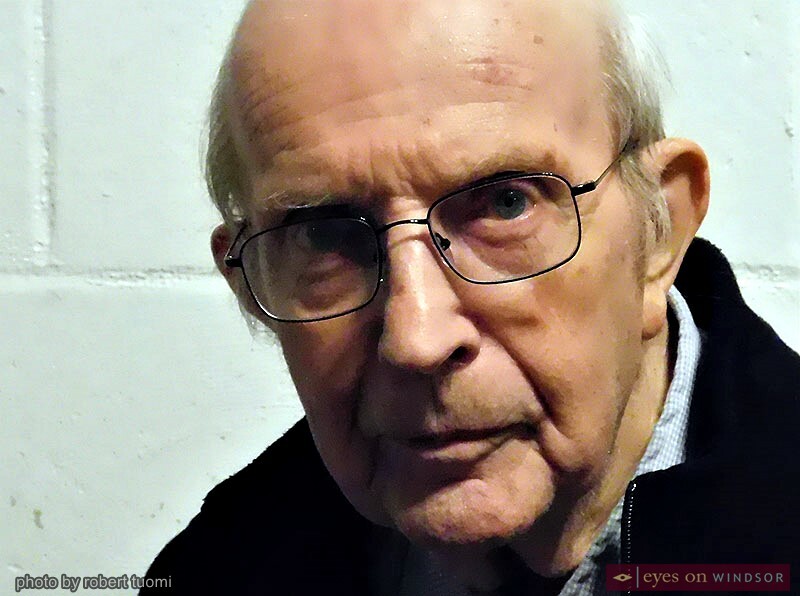 For more years than some can remember, Michael Hereford of British Beat 66, has worked tirelessly to bring the city’s best bands to the Moose. His organization skills were well evident. To keep the music flowing, Long and McQuade’s Windsor store had provided shared instruments. Without having to set up their own equipment, the delay between sets was minimized. 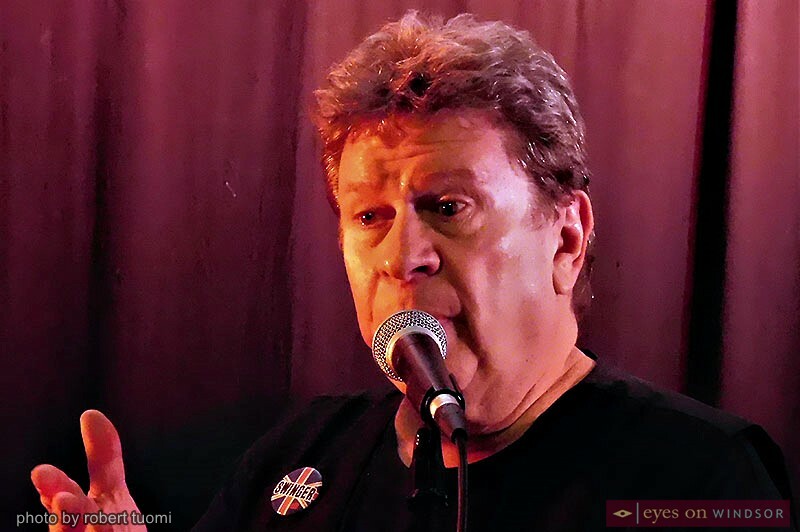 Serving as Master of Ceremonies, British Beat 66’s Michael Hereford also organized the bands for the annual Toys 4 Tots concert on Nov. 18, 2018. Photo by Robert Tuomi / Eyes On Windsor. All six of the acts are busy these days. 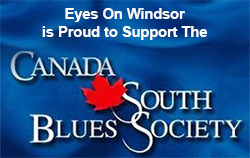 Eyes on Windsor talked with some and learned The Smokin’ Purple Monkey Gang is touring around the region while laying down new material for an extended play expected to be released this summer. Windsor’s famed blues group, the 519 Band, is also in the studio working on some Christmas songs, including one mentioning the local distilling industry. Its legion of fans should hear more about the results shortly. The 519 Band performing during the annual Windsor Moose Lodge 1499 Toys 4 Tots fundraiser in Windsor, Ontario, on Nov. 18, 2018. Photo by Robert Tuomi / Eyes On Windsor. 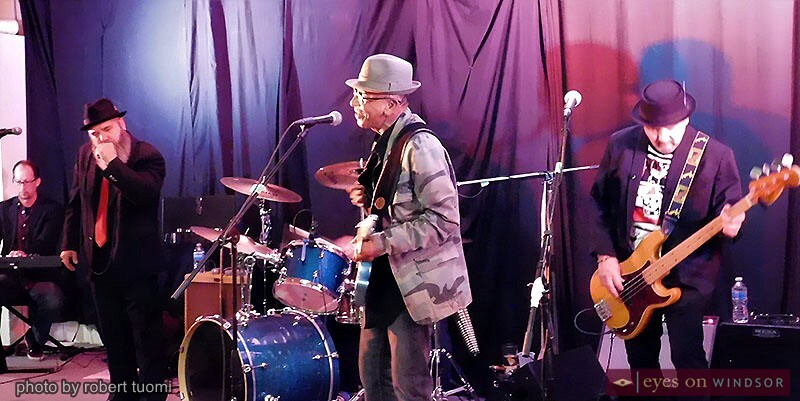 The Smokin’ Purple Monkey Gang Band performing during the annual Windsor Moose Lodge 1499 Toys 4 Tots fundraiser on Nov. 18, 2018. Photo by Robert Tuomi / Eyes On Windsor. 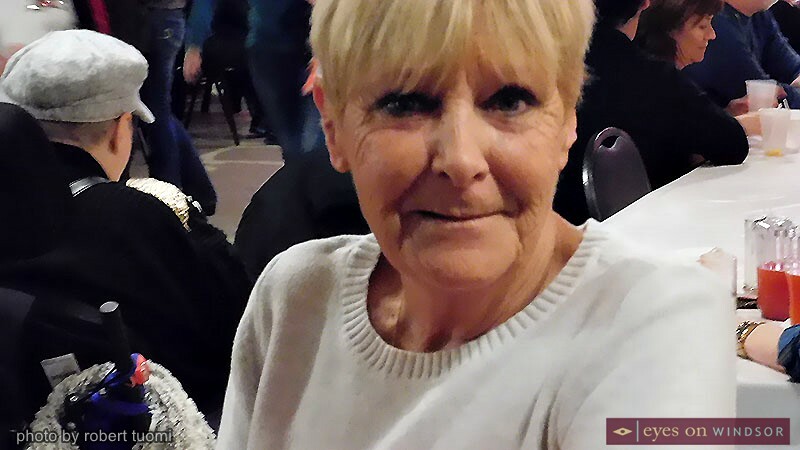 British Beat 66 continues to chalk up miles playing at sites in Canada and the US and has become a popular attraction at Caesar’s Windsor’s Cosmos Lounge. For the Van Lares, Debbs Van Lare says her effort is focused almost entirely on benefits like Toys 4 Tots. It is the band’s way to give back to the community. British Beat 66 performing during Windsor Moose Lodge’s Toys 4 Tots fundraiser on Nov. 18, 2018. Photo by Robert Tuomi / Eyes On Windsor. 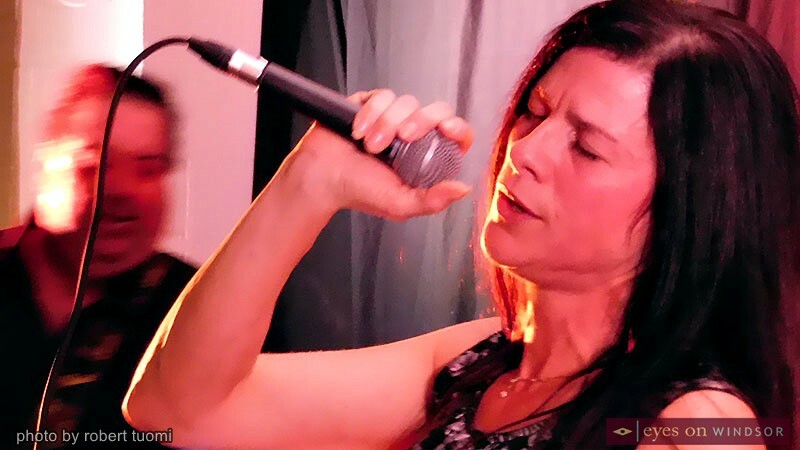 Deb Van Lare of The Van Lares band performing during the annual Toys 4 Tots fundraiser on Nov. 18, 2018. Photo by Robert Tuomi / Eyes On Windsor. All bands were playing their hearts out for free. It is, explained Smokin’ Purple Monkey Gang bassist Michael Pindus, all about karma and giving back. For 93 years Windsor’s Moose Lodge Local 1499 has hosted the fundraiser. For almost seventy years the Lodge’s oldest active member, at 94, Ken Bickel has been involved. He was born in 1924, the year before the drive was launched in 1925. 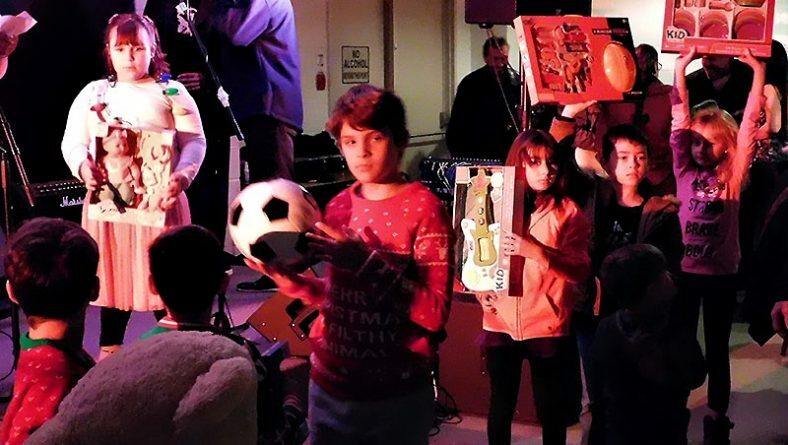 It was the Lodge’s intent to help struggling parents provide gifts to their children at the most wonderful time of the year. 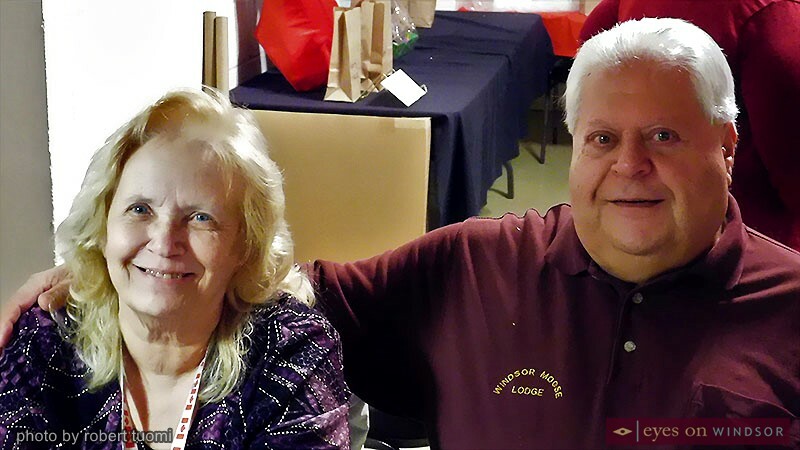 For 70 years, Moose Lodge 1499’s oldest member Ken Bickel has been involved the annual Toys 4 Tots campaign including the one held on Nov. 18, 2018. Photo by Robert Tuomi / Eyes On Windsor. At one point, organizers lined up ten children from the many in attendance. Holding toys, they illustrated how many gifts each $100 donation can buy. 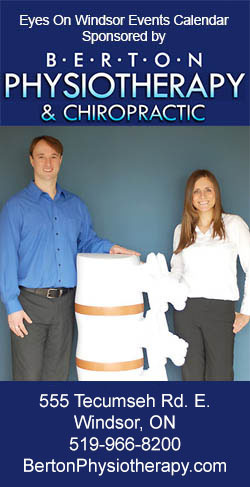 Marie and Tom Johnson provided a $100 cheque and challenged others to do the same. Challenge accepted, many more cheques began to arrive. 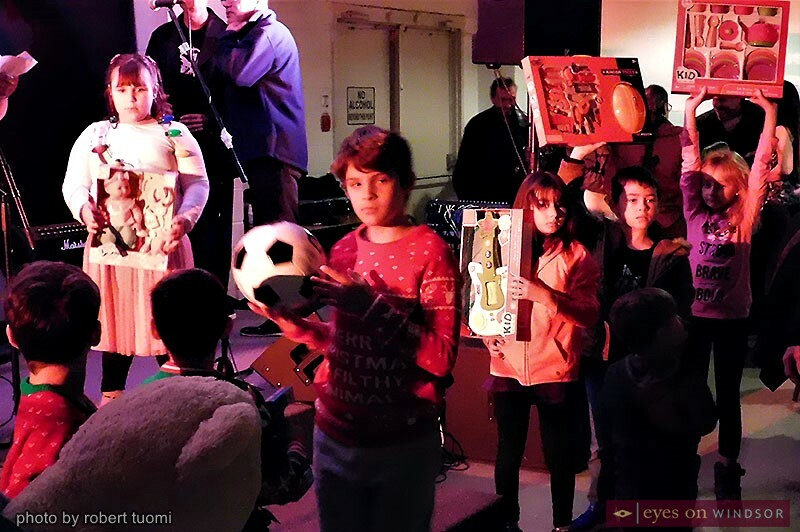 Attendees also dropped off unwrapped Christmas toys creating an impressive assembly at the back of the hall. 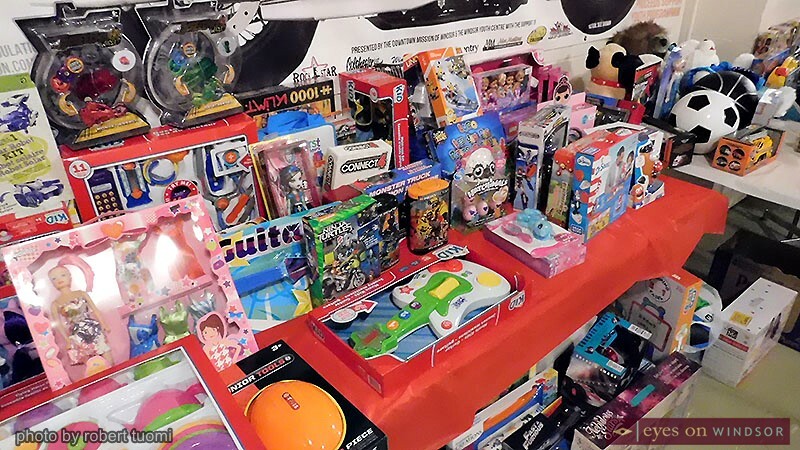 The back wall of Moose Lodge 1499’s ballroom was stacked with unwrapped toy donations during their annual Toys 4 Tots fundraiser held on Nov. 18, 2018. Photo by Robert Tuomi / Eyes On Windsor. Moose Lodge 1499 members Christine Gillis and Dean Khoury selling tickets at the door for the annual Toys 4 Tots fundraiser on Nov. 18, 2018. Photo by Robert Tuomi / Eyes On Windsor.